Ottawa Road Trips – Laura Byrne Paquet is a seasoned freelance travel writer and the Big Cheese over at Ottawa Road Trips. Check it for day trips, weekend getaways and longer road trips from Canada’s capital. The CBC Digital Archives – The goal of the video archives is to have two copies of every program ever broadcast on the CBC – one “untouchable” master and one available to CBC staff to copy for reuse, rebroadcast or licensing to outside clients such as filmmakers and foreign networks. But as long as tapes decay and technology changes, the video archives will always be something of a work in progress. The Maritime History of the Great Lakes – A great collection of documents intended to be of value to those researching Great Lakes History. C’est la vie radio show – C’est la vie gives listeners a window into the life of French speaking Canadians through interviews with people in the news and documentaries from across the country. Virtual Museum of Canada / Musée virtuel du Canada – Explore Canada’s rich history and culture in virtual exhibits and interactive learning resources. Canadian Register of Historic Places – The CRHP is Canada’s definitive source of information on historic places. Here you can learn about more than 12,500 historic places and find useful conservation tools, such as the Standards and Guidelines for the Conservation of Historic Places in Canada – a benchmark guide for the conservation of historic resources. FEAST: An Edible Road Trip – a project dedicated to exploring Canada, highlighting incredible regional food, and meeting and featuring interesting characters and organizations. Canadiana.org – Canadiana.org is a membership alliance dedicated to building Canada’s digital preservation infrastructure and providing the broadest possible access to Canadian documentary heritage. The Dictionary of Canadian Biography – a major research and publishing project launched by the University of Toronto and the Université Laval in 1959. Explore the history of Canada’s inhabitants and their culture and meet people who played an important role in the formation of what is now Canada. The Fort la Reine Museum – located on the east edge of Portage la Prairie, Manitoba, his museum is dedicated to preserving the heritage of the Canadian Prairies and the history of the City and Municipality of Portage la Prairie. HIke Bike Travel – Leigh McAdam is a great outdoors-lover and we always enjoy her posts from Canada and around the world. Roadside Thoughts – A Gazetteer for the United States and Canada. Organizing and presenting as much information as they can about the current and past communities of the United States and Canada. 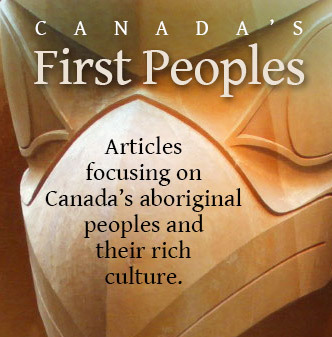 Canada’s History Magazine – Formerly The Beaver, this magazine and website concerns itself with the past, but also the present and the future of Canada. Parks Canada – National Parks have existed in Canada for well over a century. They are a Canada-wide system of representative natural areas of Canadian significance. By law, they are protected for public understanding, appreciation and enjoyment, while being maintained in an unimpaired state for future generations. ibackpackcanada – Corbin Fraser is a 20-something guy with an award-winning Canadian travel blog. Dear England, Love Canada – Anne Kostalas’ life as an expat Brit in Canada. Nominated for Best Travel Blog in the 2012 CTC Travel Awards. Jane McLean on About dot com – Jane is a prolific writer on Canada and a self-proclaimed “hoser”. Lots of Canada resources here. The Philosophical Traveler – Bob Fisher is a Canadian travel journalist writing long-form pieces about people, places and things all over the world. Ontario Parks – News and events from the Ontario Provincial Parks system. Closet Canuck : O Canada! – Sue Frause is an American journalist with a major crush on Canada. Here you’ll find photos, travel tips, road notes and the latest news and thoughts about your friends north of the 49th parallel. Cool idea, eh? Canadian Beef – This is a good Canadian place to start if you want to answer the question “Where’s the beef?”, or “What’s the beef?”, or “How the heck do I sort through ALL this information about… beef?” Facts, recipes, promotion. It’s endless. Newfoundland & Labrador Tourism – find out what’s the best thing about waking up to the first sunrise in North America. Tourism Prince Edward Island – The gentle island. 2014 marks the 150th Anniversary of the 1864 Charlottetown Conference. Tourism New Brunswick – Awe-inspiring nature and authentic cultural experiences. Nova Scotia Tourism – Discover a place where adventure lives around every corner and over every hill. Tourism Québec – The official tourist site of the Government of Québec. Ontario Tourism – Canada’s most populated province is yours to discover. Tourism Saskatchewan – The Land of Living Skies between Manitoba and Alberta. Travel Alberta – a province as vast as it is varied. Nunavut Tourism – Your journey to the Canadian Arctic begins here. Travel Yukon – Larger than life. It’s the lure of the timeless things. Northwest Territories Tourism – Spectacular!